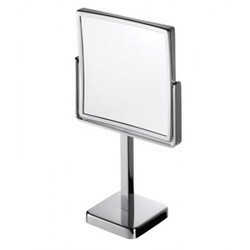 We offer Magnifying mirrors for the hospitality industry from ALISEO and Northmace. 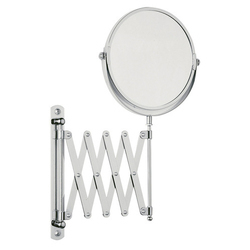 The adjustable wall-mounted magnified mirror is perfect for makeup application, tweezing or other grooming tasks. It boasts of a 9" diameter optical quality mirror with an acrylic/chrome frame and a dual arm that extends and pivots, so you can get the ideal angle. We are supplying different type of Magnifying Mirror including LED Mirror of world leading brand with good quality.These are very effective & very demanding in the industry. We are Looking for Buyers from Gujarat Only. Our superior range of Magnifying Mirrors are widely utilized in bathrooms, bedrooms or makeup rooms in the homes, malls, resorts and other suitable areas. Our superior range of Magnifying Mirrors are widely utilized in bathrooms, bedrooms or makeup rooms in the homes, malls, resorts and other suitable areas. These are sourced from trusted manufacturers who use premium quality of components to produce these. Also, we take due care to pack these mirrors for absolute safety.